Borussia Dortmund's training camp in Marbella will target correcting the finer points of an encouraging season so far, according to World Cup winner Mario Götze. Sign Götze up for your Official Fantasy Bundesliga team here! It is the former FC Bayern München forward's second training camp since returning to Dortmund, and while the first – in the summer – was geared towards upping the team's fitness levels, Götze says this one is going into greater detail about what BVB were lacking at the end of 2016. The Westphalians start 2017 three points adrift of the top three following a frustrating run of draws to end 2016. Götze says Borussia must target a third-placed finish at the very least, and the hard work in southern Spain is intended to ensure they are best placed to recover lost ground when the league season resumes in just under a fortnight. 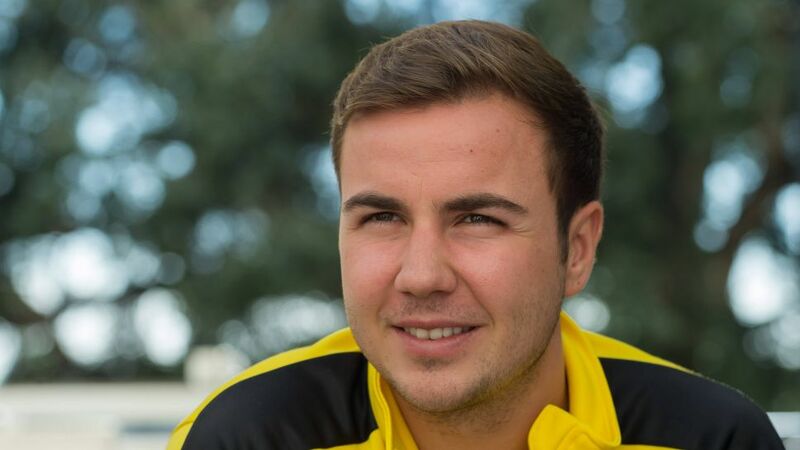 "We've got some high hopes," Götze said to the assembled press in Marbella. "We played well [in the Hinrunde], apart from a few moments where we dropped points here and there, but I hope we can now work on those things. We're looking forward to the second half of the season." "We all aim to qualify for the Champions League, there are no two ways about that," continued Götze. "We've dropped a few points along the way, but the Bundesliga is our bread and butter and we aim to get the best results we can. Hopefully we will be celebrating in the summer. We've got the DFB Cup and the Champions League and anything can happen, but the Bundesliga is important and we've got to keep things going."